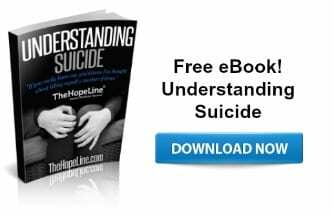 If you are feeling suicidal, please seek help. You are Not Alone. You can call the National Suicide Prevention Lifeline 24/7 at 800-273-8255. To speak to a crisis counselor in Spanish, call 888-628-9454. If you are a veteran (or your loved one is a veteran), you can reach the Veterans Crisis Line by calling 800-273-8255 and Pressing 1. You can also send a text to 838255.